I have yet another review to share with you today. 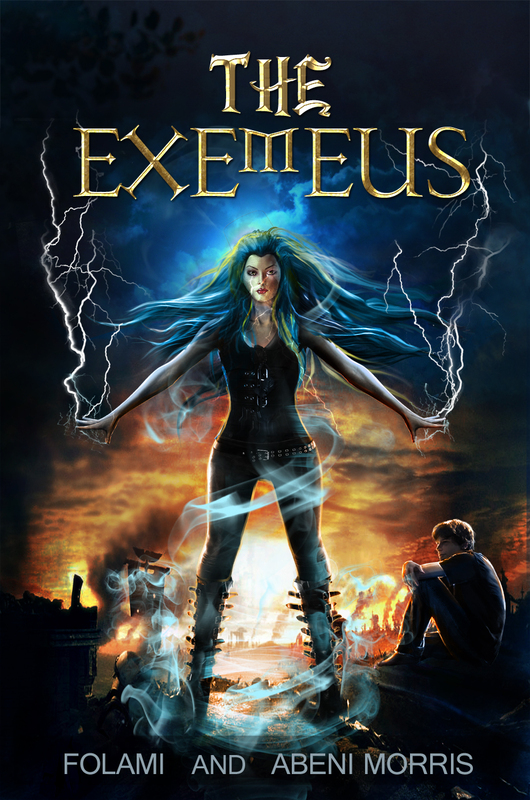 I had the opportunity to read The Exemus, a Young Adult Dystopian. Hyalee Smith is dead. She just doesn’t know it yet. Dephon Johnson has committed the ultimate crime: inspiring hope. His only goal is to make it safely through ninth grade, but on a post-apocalyptic Earth run by the Treptonian government, it isn’t that simple. Heir to a legendary power, Dephon Johnson is the only threat to the government’s rule. And on Trepton, all threats must be eliminated. When hundreds of assassins are dispatched to neutralize him, Dephon is forced to fight back. His only chance of survival is to enlist the aid of the greatest warrior the world has ever known. The only problem is, she’s been dead for 13 years. It is on the rare occasion that I pick up dystopian book to read. It really isn’t a genre I generally go for, but in The Exemus’ case, I was pleasantly surprised by it. The plot floats by smoothly and is overall easy to understand. It’s filled with many magical adventures that I found added to the story itself. It was highly entertaining, capturing my complete attention from beginning to end. What I liked most about the book were those twists and turns thrown into the story and which really threw me in for a complete 180 degree loop. I mean, at some point I thought I had some of its secrets figured out and all of a sudden BOOM! Big surprise. I love it when a book leads you one way and then turns things around on you. Overall, The Exemus was an enjoyable read. One I would really recommend to other readers looking for a fun and adventurous book. Folami grew up in the tiny city of San Mateo Ca, where nothing ever happens and no one ever leaves. She went to Xavier University for undergraduate, getting her B.A in physics and her B.S in Biology. After graduation she returned to California, to live in an even smaller city, where even less happens, Antioch Ca. During this time she escaped the monotony by hanging out with her imaginary friends Hyalee and Dephon, and by writing the Exemeus. She finally escaped to Queens NY and now realizes that quiet and tiny aren’t so bad.